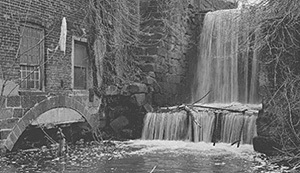 The National Park Service (NPS) has completed their report that explores whether the Great Falls Historic District's historic and natural resources should be represented as a unit within the National Park System. View NPS study. View letter from 14 Senators and Congressional Representatives urging the NPS to create a national park at the Great Falls. The New Jersey Urban Parks Design Competition invited community members and civic leaders to join nationally and internationally recognized landscape designers and architects as they share their new visions for the recently designated state park in Paterson as part of the process towards the selection of a winning design. Dorothy Guzzo at the State Historic Preservation Office proposed to amend the Programmatic Agreement to allow the State to undertake the majority of the proposed work in place of the City of Paterson. The State would contract with a qualified project team to: undertake the required cultural resource survey; to remove the remaining underground storage tanks; to stabilize contributing resources; and following the period of public comment on and final revisions to the recommendations of the Maxman Report, to remove non- contributing elements of the site. The contract for the work would be managed by the Office of Resource Development (ORD), which has "extensive experience managing complicated projects at State owned Historic Sites." All interested parties are invited to provide written comment and suggestions to Dan Saunders by mail, fax or e-mail at dan.saunders@dep.state.nj.us. by approximately May 1, 2005. 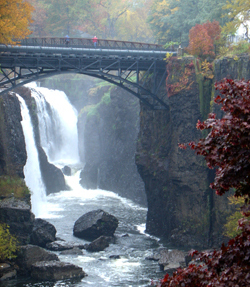 Governor James E. McGreevey, along with DEP Commissioner Bradley M. Campbell, announced the designation of the Great Falls historic district as one of three new state parks. "Parks create a sense of place, provide recreational and educational experiences, protect the environment and boost the economy" said McGreevey. A national competition will be held for the design, focusing on ecological aesthetics of the Great Falls, the city's Native American heritage and industrial history. The New Jersey State Council on the Arts will be accepting design submissions through February 2005. The council seeks designs that will enhance historical and ecological treasures, accessibility, connectivity, and the integration of natural and man-made environments. "New parks in these cities will be centerpieces of community renewal in areas that are under-served by our parks system," said Campbell. The The Weehawken Historical Commission sponsored a re-enactment of the Hamilton - Burr duel by descendents of both men to commemorate the 200th anniversary of the famous duel of July 11, 1804. Visit their website Duel 2004 . The New York Historical Society has announced their upcoming exhibition Alexander Hamilton: The Man Who Made Modern America naming it the most ambitious exhibition on Hamilton ever assembled. This New York City exhibition will explore "the story of the Founder who shaped our world — modern America — more than any of his contemporaries." The public was invited by NPS Community Planner Ms. Patricia Iolavera to the first meeting to share ideas, concerns and visions with NPS representatives. 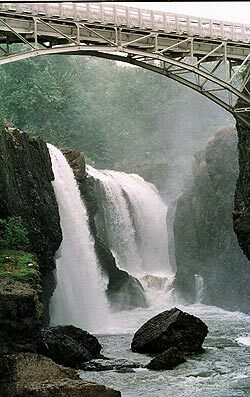 She stated that the NPS "over the next several months will be gathering information and opinions, communicating with interested individuals and agencies, and working hard to produce a SRS that helps to preserve the Great Falls Historic District for the education and enjoyment of future generations of Americans." View Herald News articles, A Landmark Decision, Push Builds for National Park . A revised scope of work for a full survey of the cultural resources on the ATP Site has been prepared by Historic Conservation and Interpretation, Inc. (HIC), the industrial archeology consulting firm established by the late Ed Rutsch. As laid out by HIC, the cultural resources survey will consist principally of three phases: Documentary Research, Evaluation of the Cultural Landscape, and Infield Investigations. 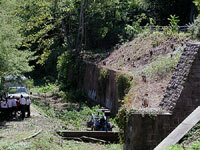 View Herald News article, First Step to Saving Great Falls Site: Clearing Weeds for Historical Survey . The public was invited to the "Paterson Riverfront Design Workshop" an informal planning session for improvements to land along the Passaic River near the Great Falls. Participants sketched ideas, established priorities, and focused on objectives for improving the riverfront. The April 2003 workshop included a tour of the riverfront, group discussions, a reception and presentation of concept plans. The Waterfront Center conducted the workshop and prepared a final report, "Paterson Riverfront Strategy and A Community Participatory Planning Workshop Report." Paterson Mayor Joey Torres stated in a November 6, 2003 letter: “We have started to implement many of the recommendations in the report. 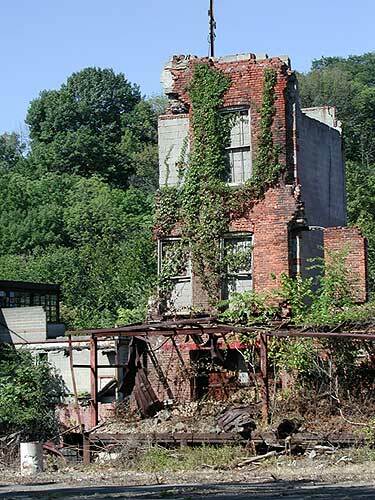 The City has recently awarded a contract for demolition of a portion of the former ATP Site. An application has been submitted to the Passaic County Open Space Fund for improvements to Overlook Park. We expect to receive funding for a rehabilitation of Mary Ellen Kramer Park under the State of NJ Green Acres program.” The public is invited by the mayor to write Mr. Michael Wing, Executive Director of the Paterson Historic Preservation Commission to participate in an advisory committee to help guide the city in these efforts. Weed trees and brush were removed from the strip of land between the upper and middle raceways in Raceway Park. The uncontrolled growth was causing damage to the raceway retaining walls and obstructing views. The River Restoration program of the Passaic Valley Sewerage Commissioners (PVSC) removed the trees under supervision of Bob DeVita and Frank Dumschat. Mike Wing of the Paterson Historic Preservation Commission monitored effects to historic resources. Mr. DeVita plans to continue the tree removal work in other areas of the historic district. 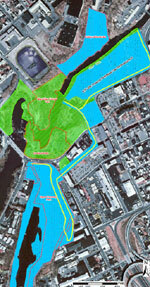 View PVSC article, PVSC Begins Cleanup of Paterson's Historic Raceway System. The first phase of the raceway restoration project has begun on the Upper Raceway. $1.2 Million in federal, state and county funding will be used to remove contamination in the soil, install a new clay lining to prevent leakage, and add improvements to the pathway alongside the raceway. View Herald News article, Work Resumes on Project to Restore River Raceways . Due to a homicide on July 25, 2002 on the Allied Textile Printing (ATP) Site, the City of Paterson issued a Declaration of Emergency that stated that the site in its current state was unsafe and dangerous to human life and the public welfare. The city stated it would complete the following work to secure the site from use by the homeless: secure the existing chain link fence, install additional fence and lighting as required, remove brush and trees without disturbing the ground, and remove debris and trash. 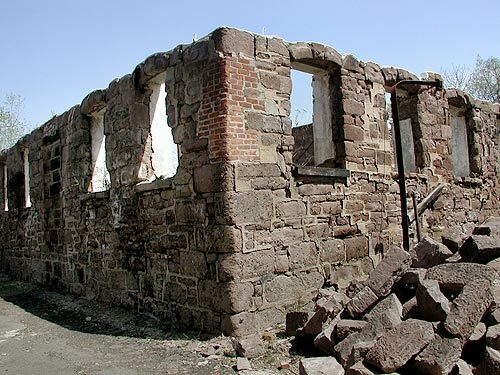 Additionally, the city received approval from the National Park Service and the NJ Historic Preservation Office to use UHI funding to demolish one non-contributing historic structure and stabilize two structures that were being used by the homeless. An access route will be constructed adjacent to the Great Falls lower observation area in Overlook Park to facilitate the demolition work. Another access route will be cleared of debris from the former ATP entrance at the east end at Van Houten Street. $1.67 Million of UHI funding has been allocated to identify the historic resources on the entire ATP Site, stabilize the ruins, and remove hazardous materials. These funds will also be used for "development of historic and public site elements" such as "pavement, Belgian block curbs, walkways, demolition/ earthwork/ grading/ site preparations/ subgrade rubble, historic foundations and walls/use with new construction, landscaping, Waverly Mill Stabilization, smoke stack/plaza, river walk rehabilitation, historic river walk, Colt Mill Plaza, refurbish Middle Race and Colt Mill Stabilization." 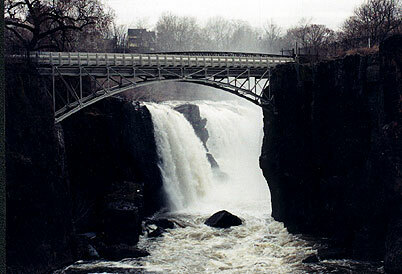 Completion of all work related to the City of Paterson's emergency declaration on July 26, 2002. Engagement of a combined Project Management and Research Team to perform research, in-field testing, develop plans, and monitor execution of site clearing, cultural resources survey, hazardous material abatement, stabilization of elements to retain, and demolition of remaining elements. 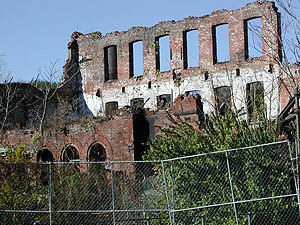 Selective demolition and stabilization and in-field testing necessary to complete Stage One Cultural Resource Survey. Construction of first phase of the River Wall / River Walk project with funding from Green Acres ($500,000), NJ Department of Transportation ($250,000) and the balance from UHI. Closure of underground storage tanks. Stabilization of all elements specified to be retained in the amended HISA and the demolition or removal of any remaining elements. Construction of second phase of the River Wall / River Walk project. The city has asked the Louis Berger Group to submit a proposal for the professional services of Project Management and Cultural Resource Studies. 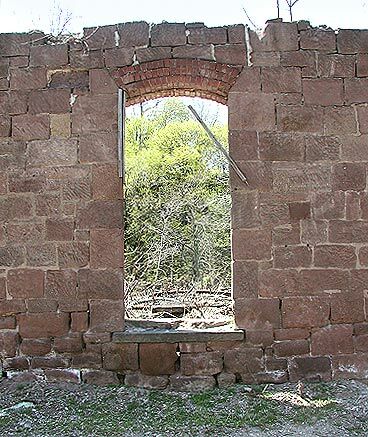 The New Jersey Historic Trust has granted the City of Paterson a $359,000 state matching grant through the New Jersey Preservation Bond Fund for the stabilization of the Colt Gun Mill on the ATP Site. 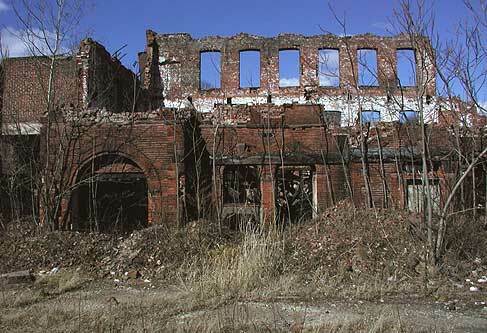 During the first phase, portions of the mill's walls were removed and stored. Then, temporary bracing was erected. During the second phase, Greentree Contracting Company removed debris from the interior of the mill and outside the rear loading dock. The Louis Berger Group is preparing the cultural resources report of these activities. Susan Maxman Architects of Philadelphia, associated with Notter Architects of Washington D.C., along with a team of historians, engineers, landscape architects and archeologists were retained by the National Park Service to identify resources within the ATP Site, to evaluate their significance and to make recommendations related to the remaining site components. The study of the historical evolution of the ATP Site, both within its boundaries and in context with the larger industrial area, pointed to certain physical features of importance. Among them were the density of the buildings, the massing, access ways, and the site's principal organizing feature - its relationship to the water, both the river and the network of raceways. Through architectural and structural investigation it was determined that certain of the ruins are capable of stabilization and that, among those, there are a sufficient number, which if retained as components of new physical site development, will provide interpretation of the ATP Site and enable its visual integration with the remainder of the district. At the same time, archeological evaluation established areas of sensitivity within the site, areas where there are recognized indications that in-ground remains of potential historic value are present and must be dealt with. A series of recommendations has been established to guide future development of the site, some of which are mandatory and others of which are suggestions. They have been developed in compliance with the Secretary of the Interior's Standards for the Treatment of Historic Properties and with the goal of allowing for successful development while at the same time protecting the past and the ATP Site's role in the history of Paterson.